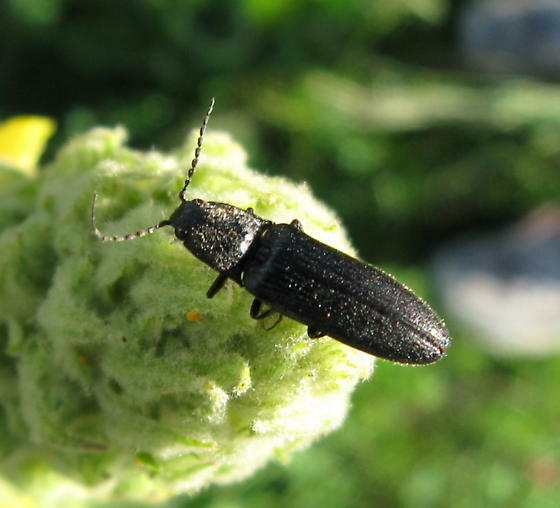 Have no idea other than I think it's a click beetle. Can someone ID? Mercy all - or is it merci! This bilingual pun was intentional and a very good one. I love it. It's 'merci' I started this by saying "Not me, my friend"
--i thought you communicate in French routinely... really... i was mislead, apparently. Oh man... that's too funny! My French is atrocious these days, I could only follow a bit of your reply! I wish I could speak it better, as there are some useful Bup papers and keys in French, like the Acmaeodera key. Alors, qu'est que nous avons ici-bas? "...kinda... not necessarily though... Athoinae will do, &c"
I'm not educated enough to understand: Greek, Swedish??? Pas moi, mon ami. Clicks I can key but not much else.